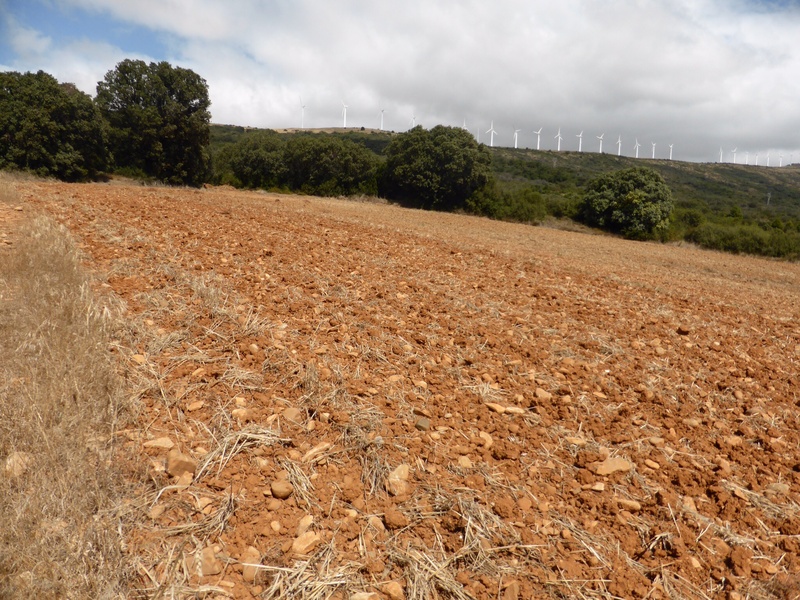 We were amazed by how rock filled the fields are. 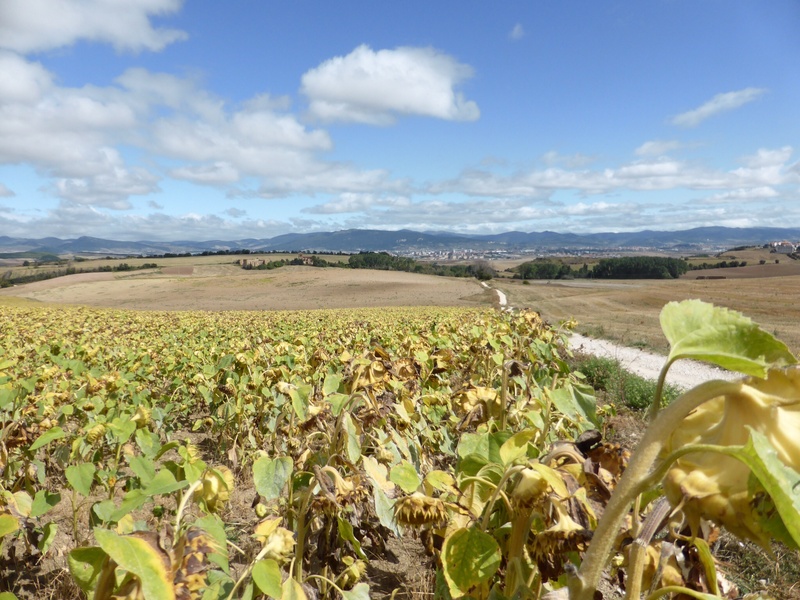 The Camino is signed with many different types of markers, all originating from the shell. Many are like this, imbedded in sidewalk. 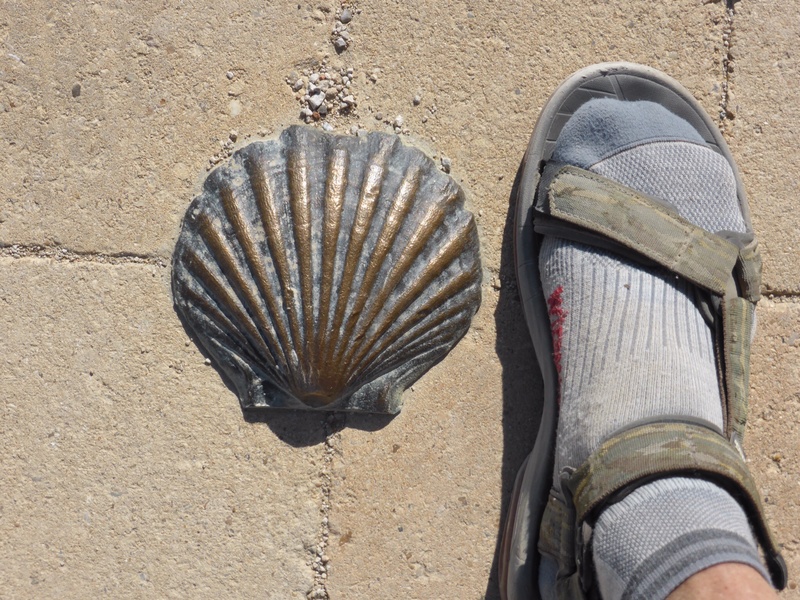 One explanation of the shell: the lines represent the many camino routes towards Santiago. 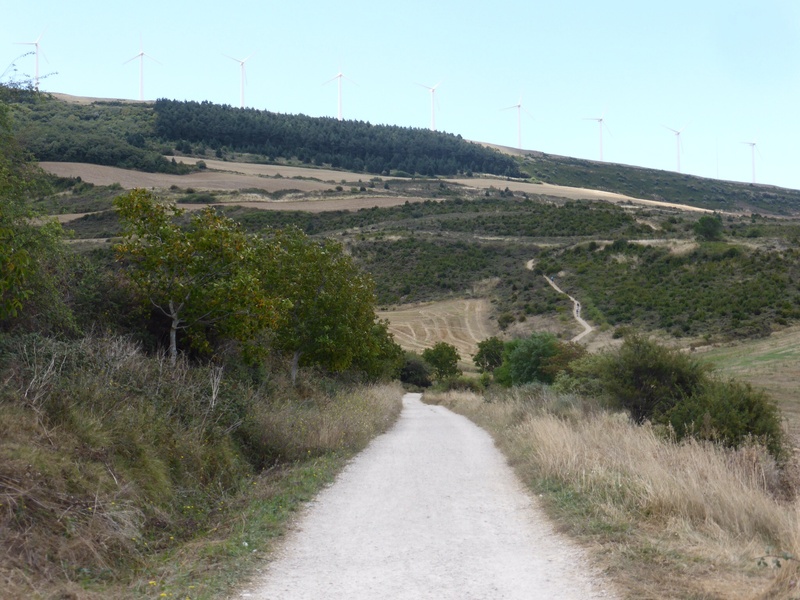 That’s our climb ahead, note the windmills at the top of the ridge – well maybe they are hard to see, but they are there!! This was on the way down. It was a bit of a slow go. Here Rod carefully places a stone on an inukshuks. The descent was steep, uneven and composed of loose gravel and rock. 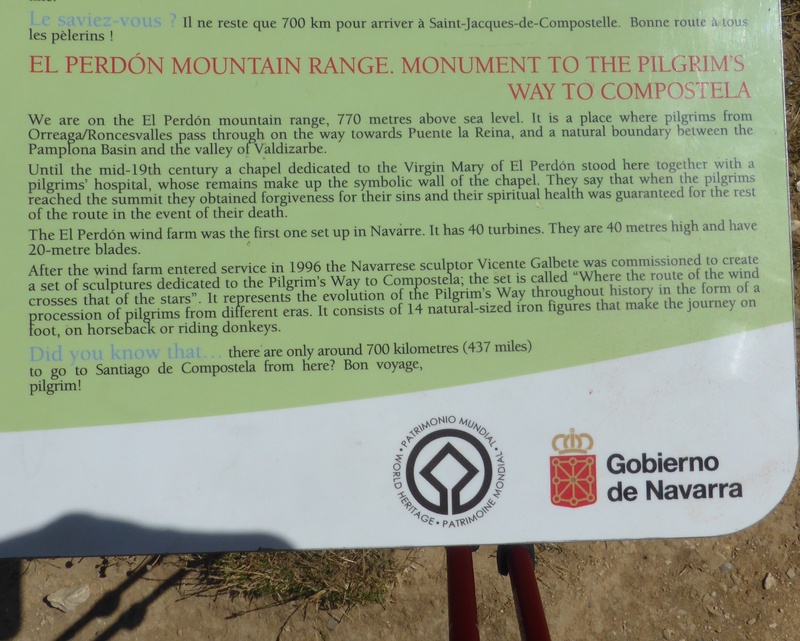 We had been warned that more pilgrims injure themselves here than anywhere else on the Camino. 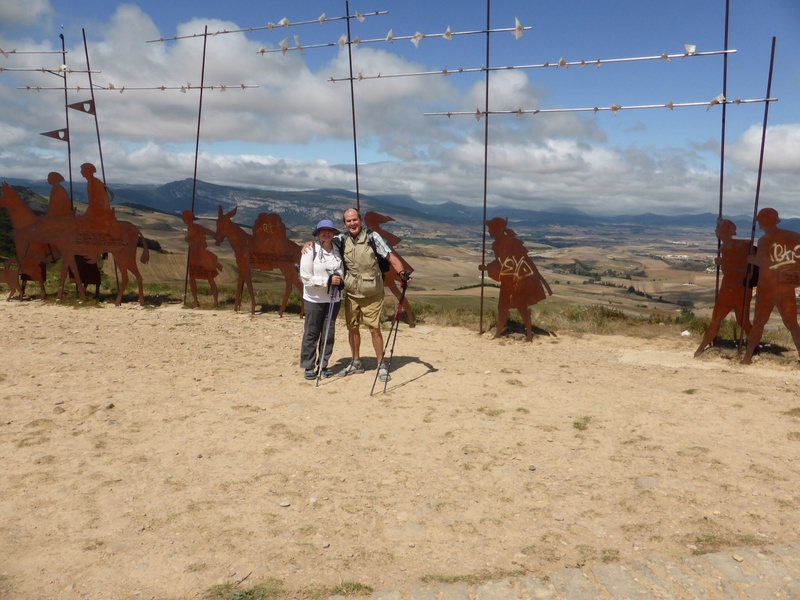 We climbed down slowly, grateful once again for our walking poles. 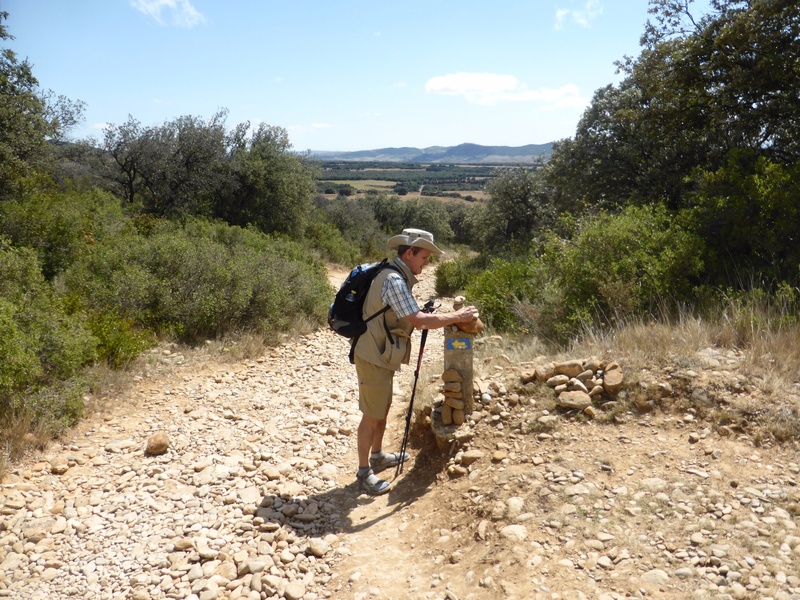 At last we crossed the River Arga over an old Romanesque bridge and entered Puente la Reina with relief.